Spring is in the Air. | Eat More Plants. 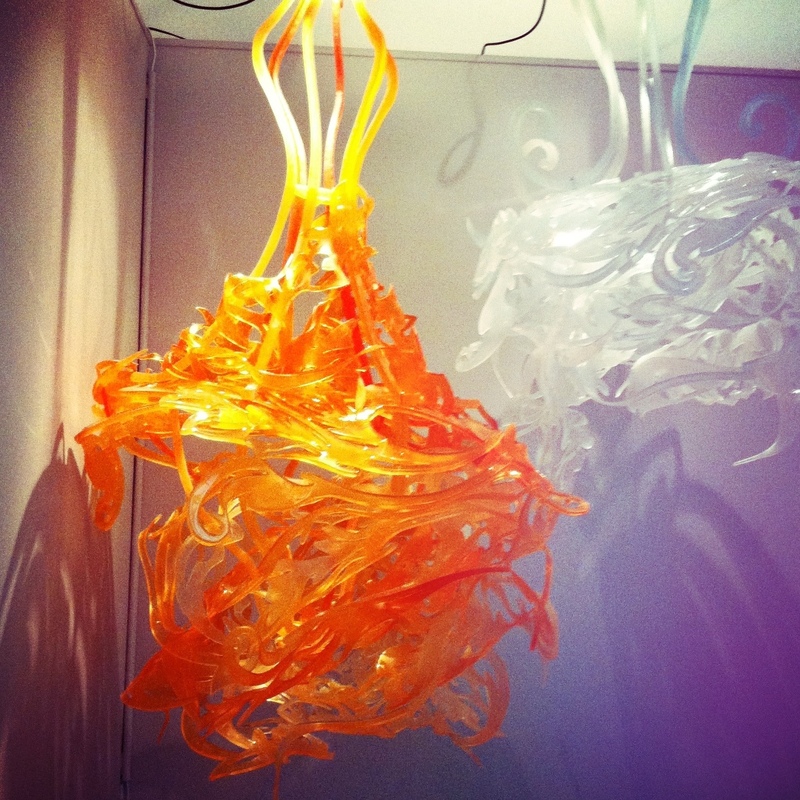 Where I live in Vermont, the first Friday of every month is designated Gallery Walk. All the shops, studios, museums, eateries, etc…open for art. It’s a beautiful thing. What absolutely blew my mind tonight was this light installation room, aptly titled an Alice in Wonderland room. Had me captivated. I could have set up a cot and slept in there. 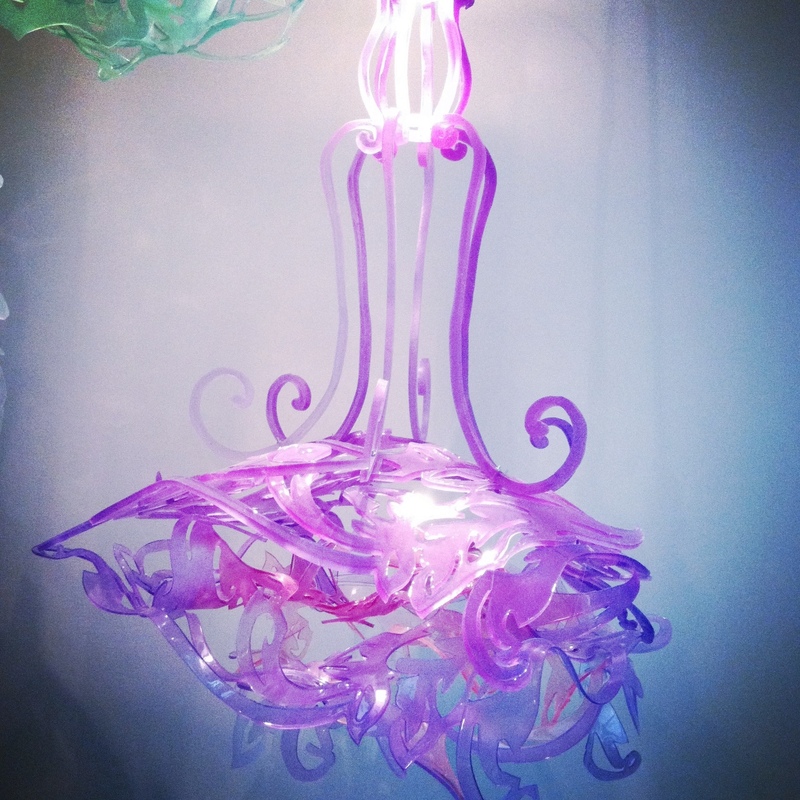 Huge, 5-6 feet tall lucite/ acrylic chandeliers in purple, white, orange, blue, green and yellow. 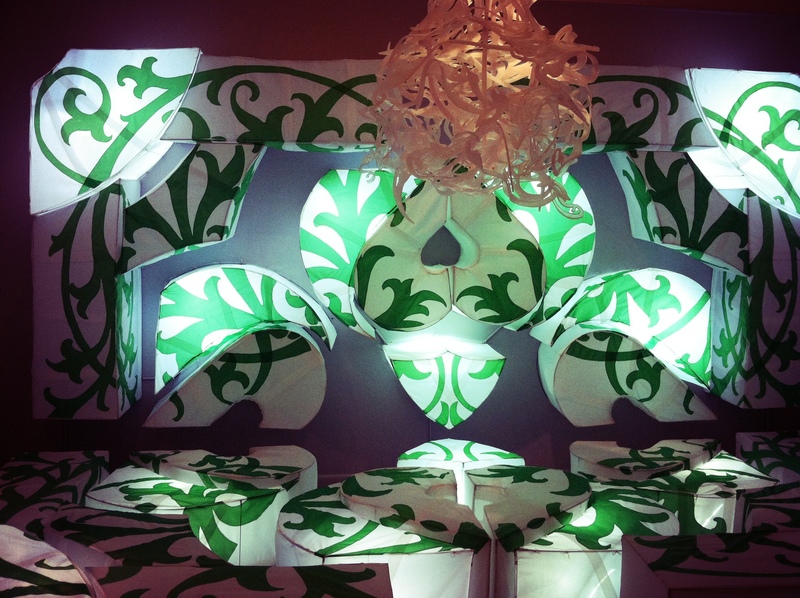 Also white and green lighted fabric boxes that trailed from ceiling to wall to floor. This purple one had my heart.